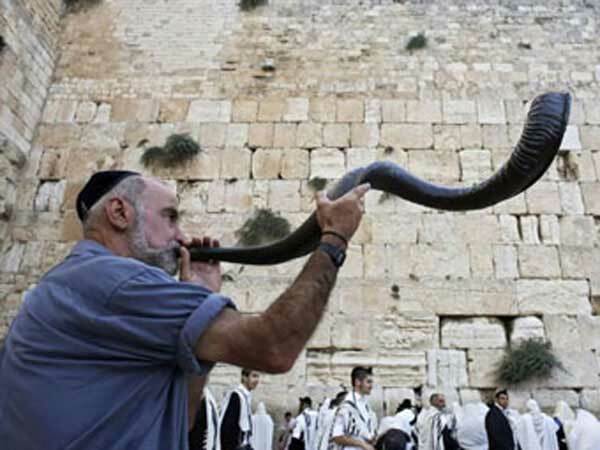 Man blowing the Shofar in front of the Western wall in Jerusalem. Rosh Hashana for the year 2019 starts on Monday, September 30th ending the 2 day celebration at sundown on Tuesday, September 31. Because the Jewish calendar is a lunar calendar, the holiday begins on the sunset of the previous day on the evening of Sunday, September 29th. Monday, September 30th is the 272 day of the 2019 calendar year with 5 months, 6 days until the start of the 2 day celebration/ observance of Rosh Hashana 2019. When is Rosh Hashana 2019? When is Rosh Hashana 2020? When is Rosh Hashana 2021? When is Rosh Hashana 2022?